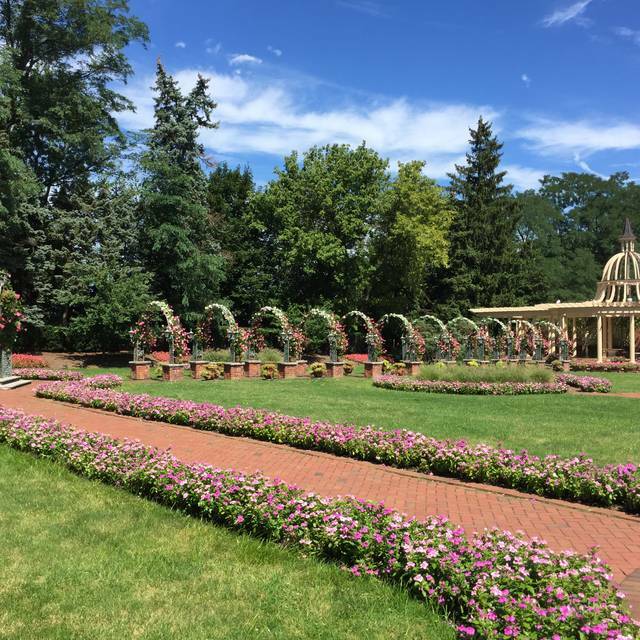 Since its opening in 1956, The Manor has meant many things to many people. 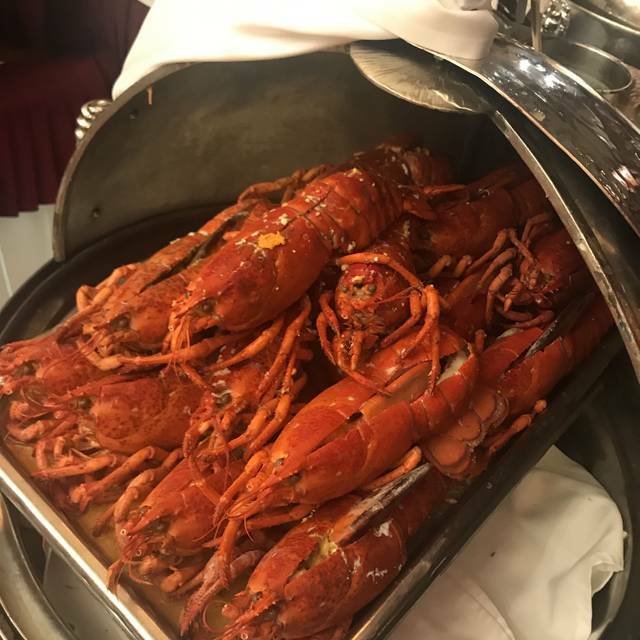 Elegant dining in The Terrace Lounge, their World-Famous Lobster Buffet, memorable weddings and other family celebrations, business meetings and dinners in their private dining rooms. Whether it be for an intimate dinner for two or a party of 200, The Manor has always been considered to be the premier establishment to make any event extra special. 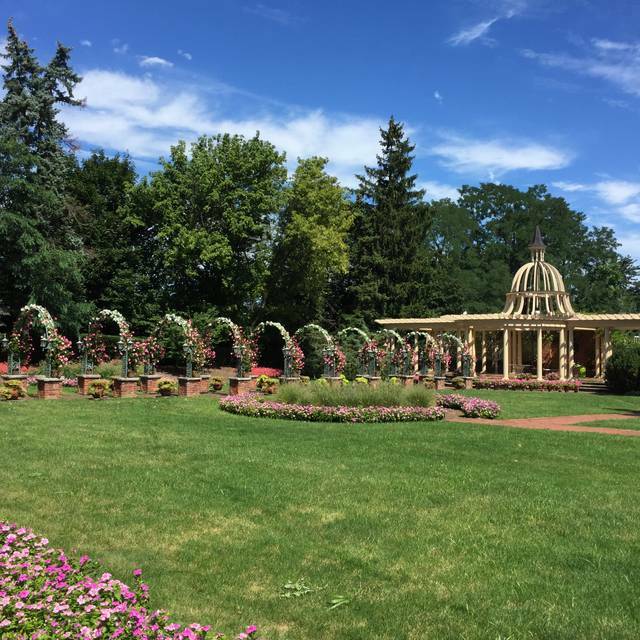 In addition, to The Manor's excellent cuisine and attentive service, you can stroll through beautiful gardens, walk past magnificent fountains or simply enjoy a romantic dance after dinner in Le Dome. 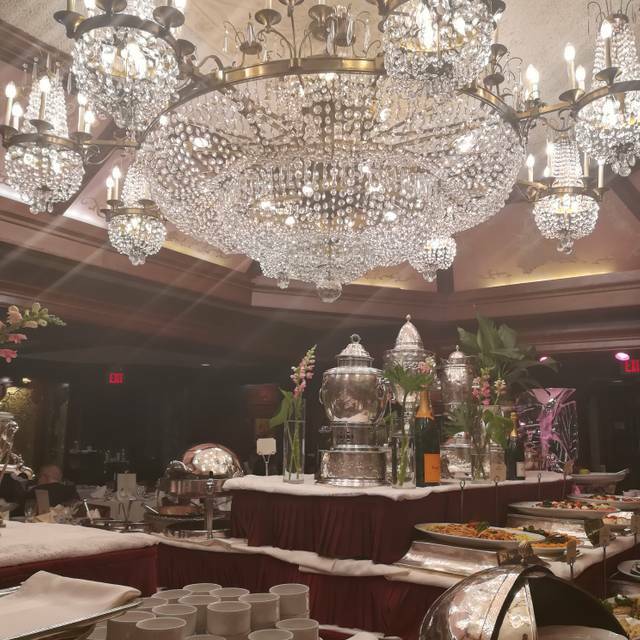 The Manor is truly a multifaceted, total dining experience which you can enjoy anytime, turning any day into a celebration! In order to provide a comfortable and appropriate dining experience for all of our guests, The Manor requests business casual attire. Please no athletic wear, sneakers, or shorts. *Indicates that Lobster is not available these times. Corner of Woodland Ave. and Prospect Ave.
Self parking is available in addition to free valet parking. Friday and Saturday evenings for music and dancing in Le Dome. Honestly extremely disappointed! This is not the manor that I know for the last 30 years !!!! They seated us on a lawn table and chairs basically next to where they throw the dirty dishes !!!! Service terrible food average!!! What happened???? Most of the staff is gone or moved into the Resturant truly truly disappointed! They officially closed the buffet down so now it’s just on holidays but if it going to be this in the future unfortunately they will loose many loyal customers because they can not run a business like this ! The lobster was good but the oysters and shrimp and clams terrible literally tasted previously frozen !!! No flavor ! I give this 1 star tonight ! Service was the worst for fine dining, had to go get someone to remove dirty plates from table, had to request weather refills several times and was overcharged on my credit card and it took 20+minutes to correct and then had to ask for the receipt. The Manor has been our after holiday family get-together for Virginia, NJ, PA and Long Island, NY residents. Disappointed to hear Sunday Buffet will be discontinued. We will all miss it. Food and service are usually spectacular (been coming to The Manor for 25 years), but tonight, the food and service were just "good". They ran out of prime rib and had to substitute a beef tenderloin instead. Table service was slow, despite the room not being crowded, only half the tables were occupied at our 8:30 seating and we needed to wait 20 minutes to be seated. Table bussing was slow. Most food was good; lobster bisque was delicious but the mushroom soup was a bit watery. The beef rib sliders were overdone and a bit dried out. Many patrons were in jeans despite the dress code stating otherwise. Pricey, but food and ambiance is good. 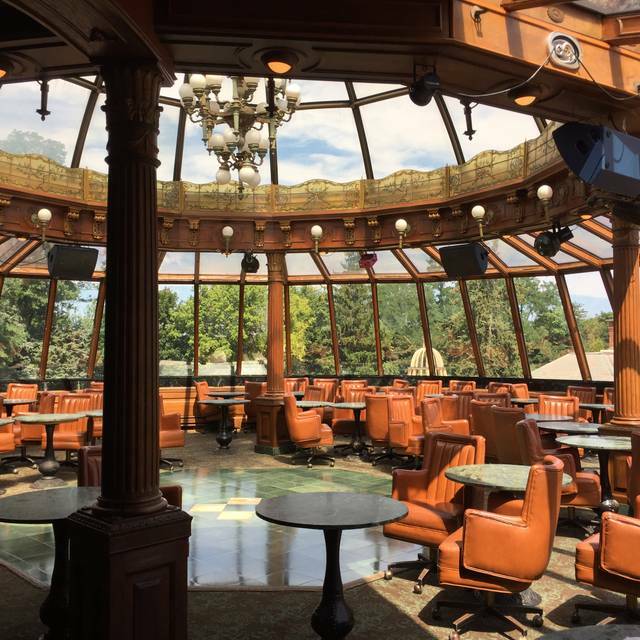 But having come every year for the past 25 years, can safely say the Manor's "glory days" have past. What was once a special occasion is now just another expensive dinner without the elegance it once had. The seafood was delicious and service was great! The prime rib was well done when it really should’ve been cooked medium rare. The flavor was good but too overdone. Need to get it right. Always decorated beautifully during Christmas! Everything was wonderful except for the very loud obnoxious group of people seated next to us. I could barely hear myself speak. Food was delicious. The service exceptional. Just wish someone would have asked these Peyton turn it down a few notches. It has been at least ten years since I was last there. The service is excellent as before. Food selection and taste is outstanding. The only main dish that was lacking was the Prime Rib. Lobster was perfect, not over cooked. The mushroom soup wasen't as creamy as before, but still very good. Deserts were top of the line . It would be hard to find better. Excelent value , for the service and quality of food served. The staff go above and beyond to insure that you have a pleasant dining experience. Liked it better when there was a higher level of dress code. But when you add it all up it's still a great place . You won't be disappointed. Food was poor and definitely not worth the $85.00 per person. The last time I went to the Manor Buffet has to be 15 years ago. I had fond memories of the Seafood, Lobster Station and carving station. This did not meet any of my expectations. The staff was understaffed and the buffet was not refreshed. Food looked tired from earlier seating. At times, we had to find someone to serve us at the carving station/lobster stand. What happened to The Manor? Disappointed in the shrimp. Used to be crisp to the taste. Now seem like they are defrosted from Costco, a little soggy. It is good brunch that I have had many times. Over years I see an erosion in quality. Last time there was cold French toast, sedimented juice, busy staff etc. on the negative side. On the positive side great desserts and sea food and a great formal ambiance. Overall a good to very good brunch with an abundance of items in a fancy setting. I will go again. Beef was very tough. The a Turkey was raw & under cooked the middle was pink. The Ham was outstanding. There was a lot of food just not what I liked but I did not go home hungry. Cost was very pricy for me. We went to the Friday seafood buffet, so they had all you can eat lobsters, plus carving station, pasta station, along with various chafing dishes, soups, cheeses and salads, plus a really nice desert section. Service was excellent, several waiters kept an eye on our table and cleaned plates got us what was needed. The cost is expensive but it is a nice place to celebrate a special occasion. It just wasn't what I expected for the price. Food was bland, shrimp was limp, not the wow factor I had hoped for. Service was good, but I had to chase waiters twice for something. Just wasn't impressed. We thought we were getting quantity for the price. But the quality and service were also excellent. A great place to celebrate with great food. Had a great birthday dinner! Enjoy the lobster and variety of dish options. So full unable to get to pasta bar, but one of my guest really enjoyed the make your own pasta. We went with another couple on Saturday night for my significant other’s birthday. 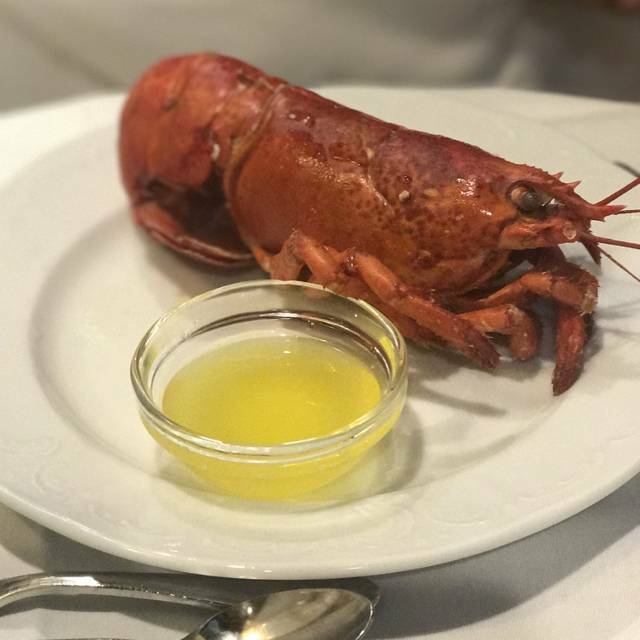 The lobsters were over cooked, the clarified butter was empty and not refilled. We bused our own plates three times as the empty dishes were still on the table when we returned from the buffet. Overall we had a great time because of the company but it has gone downhill since our last visit, usually go twice a year. I have visited The Manor multiple times but this was the first time my significant other has visited. All he could say was it was the most fabulous dining experience he has quite possibly ever had. We drove almost 2 hours to get there and we will be making the trip very often I'm sure. Special occasion, worth driving more than an hour. My dad was very impressed. as stated above I feel that it was very good except for it way over priced at $72.95 each! A super place to go, always ! The food is great. You should go with expandable pants. Delicious prime rib, lamb with mint jelly. Great soups, mushroom and lobster bisk. Desserts yum. Clients love it . Service by waiter's on our table was Five Star. Got a phone call day before from the Manor to confirm the reservation, person on the phone was not courteous. One Star for that. Five Star for restaurant's decoration, inside and outside. Food I will give Three Star for the price paid. Roasted vegetable were not roasted properly. No soufflé cups on the bar to take any kind of sauce. Man behind the bar for meat was not courteous me. I took prime rib, I was not asked what kind of meat I will like ( Rare, medium, extra). I saw he was courteous to other people. My second visit at that same bar was Miss lady. She was courteous. My (then boyfriend) husband and I came here to celebrate our very first anniversary nearly 7 years ago, and have been several times since. When we got engaged, I knew there was no where else that I'd rather get married!! 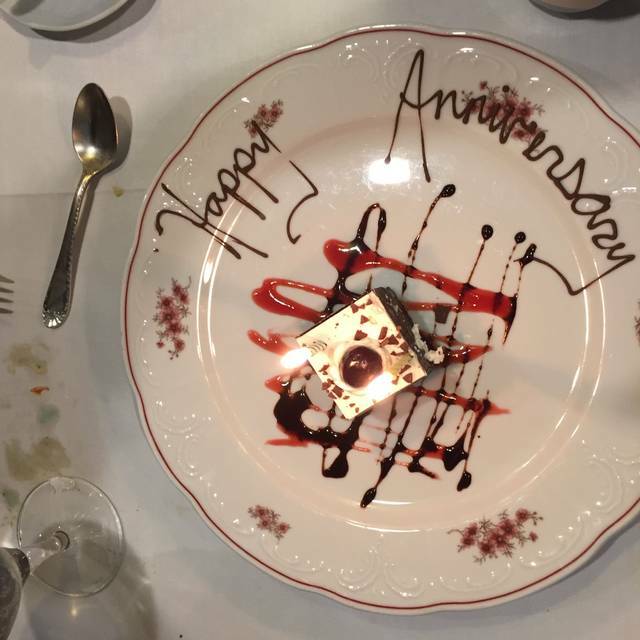 We went back this weekend to celebrate our 1st wedding anniversary, and the hospitality, service and food was just as fantastic as it has been all those times in the past. If you have not been, I highly recommend going at least once, especially for the lobster buffet!! The experience was great. I would have to say I was a little disappointed in the lobster selection and presentation. I would have rather enjoyed lobster tails vs the entire lobster as you could only eat the tails regardless and the rest of the body was there for show. I would have also included more lobster items in the menu and have been more creative as a chef with all that lobster that was available. Overall it was a very clean atmosphere and the cold bar and lobsters were being replenished constantly without any wait time. I have had the buffett a number of times in the recent past. While I have had issues with the type of appetizers at times it is the entrees that I have been a little more disappointed with. This time i looked forward to the fish and chicken. Unfortunately they were very over cooked especially the fish which was hard to even cut into. It was such a disappointment especially since I am not a meat eater or a shellfish eater. I complained to the waiter but nothing was done to improve the situation at that moment. So I hope that this can be improved. As for the appetizers I would love to see crudites included as well as cheese and crackers as mundane as that sounds. I did enjoy the vegetable stuffed mushrooms. You could add various types of brushcetta as well. Always amazing the staff is incredible that’s the number one reason why I come beside the great food !!! An outrageous price for nothing out of the ordinary. Silverware was bent and food on the buffet table was picked over. Solid brunch, pretty generic selection though. Everything hot and cooked as should be. We went with friends to The Manor for their seafood buffet to celebrate our 50th Anniversary! There was a bountiful display of my favorites - clams and oysters on the half shell, shrimp, lobster, smoked salmon and whitefish. 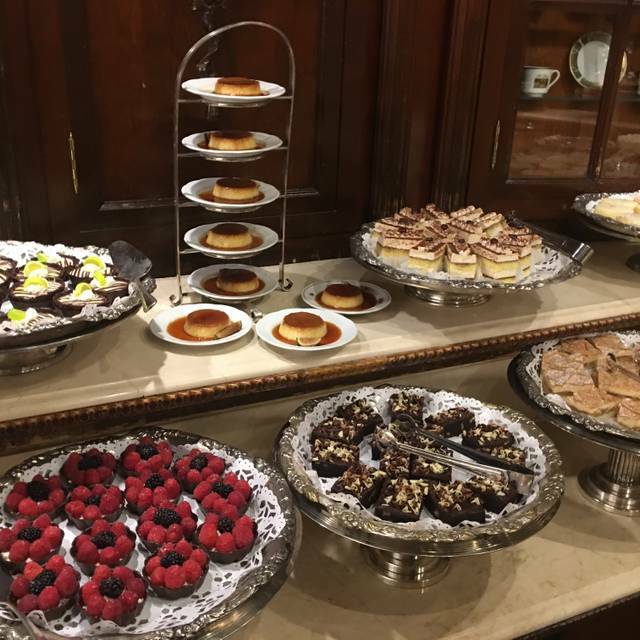 There was a chef preparing pasta and eggplant parmigiana, a carving station for prime rib and turkey as well as a salad bar and tables filled with various desserts. Everything was delicious and the service was excellent! We had a wonderful evening! Had a very enjoyable overnight stay at the adjoining Residence Inn and lunch buffet at the Manor. The food was fresh and abundant. Very elegant , impressive presentation. We chose The Manor to celebrate our 40th wedding anniversary at the Saturday night lobster buffer. It met our expectations for valet service, food quality, overall service, and a very nice experience. The dishes offered were unique, lobster was delicious, and all was very well done & well presented. 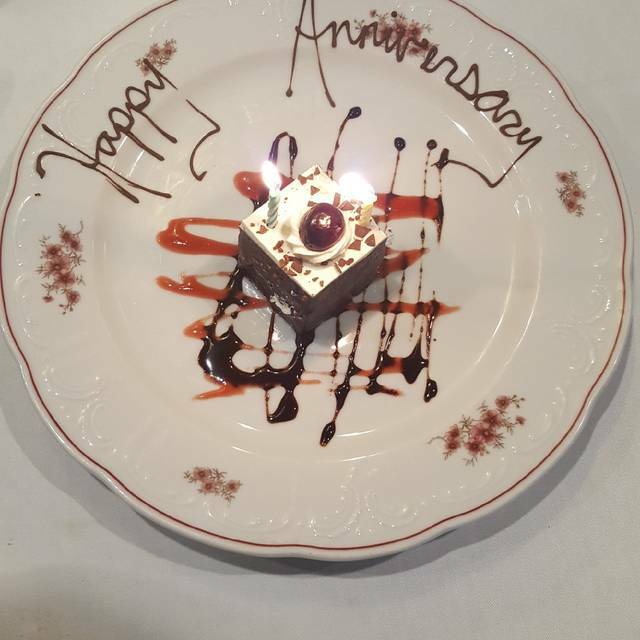 We received a dessert with candles in it to celebrate, and well wishes from the staff. While I don't feel it's a great value, it was still something memorable for us to celebrate a very special, very important occasion. We will visit again. Excellent dining experience, the staff was right on point food was delicious !